Editor’s Note: This review is taken from our much larger GOTY post here. 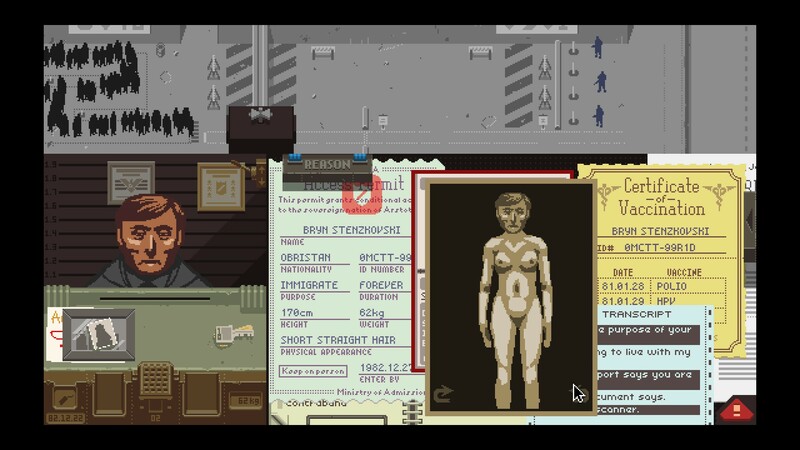 It’s been given its own post in an effort to reward Papers Please as one of the year’s “best” games. Entirely new posts honoring the rest of 2013’s best are forthcoming. 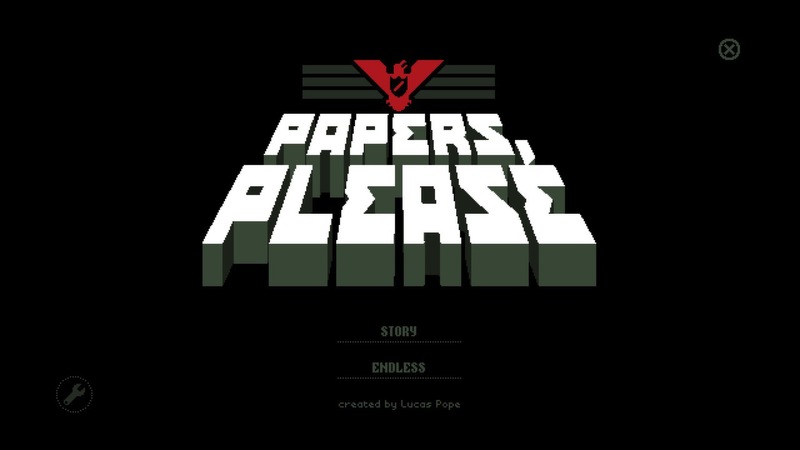 Lucas Pope’s Papers Please should have made all GOTY of the years lists for being a game that surfaced into the public sphere and seriously dealt with politics and immigration. And not with politics in a CSPAN way or a Fox vs CNN way either, but in a smart and empathetic manner that has us perform these problems. Glory to Ameri, I mean, Arstotzka! 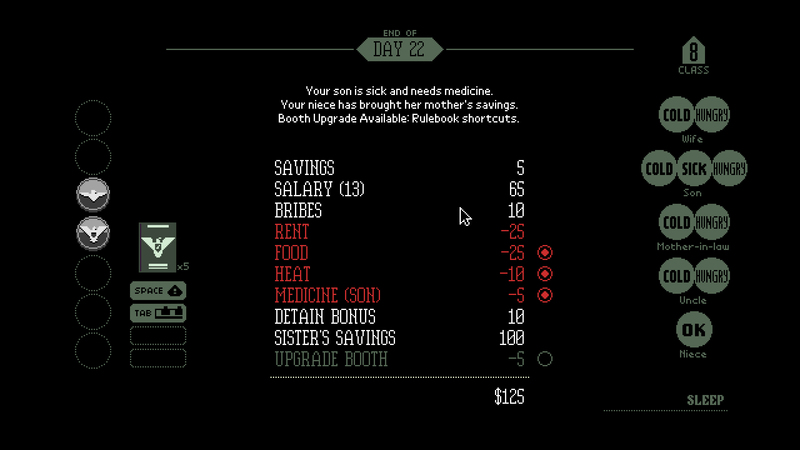 Papers Please is the only game with some popular recognition to have ever engaged with immigration let alone create gameplay around the notion. Maybe ever. Pope has done us, the community and medium, a favor. What Papers Please does best though is let the player delve into how social structures and totalitarianism in this case, can lead to an objectification of human beings and essentially crimes against humanity. The game’s mechanics and design force us to knowingly be complicit in the state’s crimes (you’re literally working for the system, the state and game code, diegetically and as a video game player), either against strangers or your loved ones. Morally, you can’t really win. It’s the classic “trolley problem.” But Lucas Pope shows, or rather lets us experience, that the systems that underlie our relationships and our participation in them produce these conflicts. Just as Pope could have designed the game to be more lenient or offer alternative paths to its moral conundrums, so can we redesign political paradigms and social constructs.